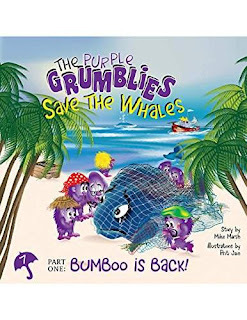 A whale has washed up on Volcano Island and the Purple Grumblies don't know what to do. What's even worse is the whale's baby, Spout, is caught in the fishermen's net. Can the Grumblies rescue Spout? First of a three-part adventure. Great bedtime reading for 3-7 year-olds.